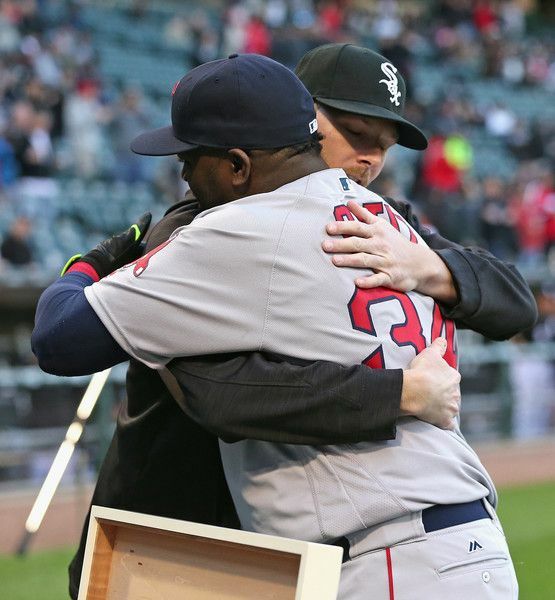 Did David Ortiz Hint At A Possible Return? My god😳😳😳 my boy sale to Btown? You guys got me thinking 🤔? Obviously the “You guys got me thinking” at the end of the caption is what has everyone talking. I mentioned after the Sox acquired Sale that they now have three Cy Young-caliber pitchers to go along with the best young offense in baseball. I say that in hopes that the loss of Big Papi won’t take away too much from their dominance at the plate last season. The harsh reality is that replacing .315, 38 homers, and 127 RBI’s at the DH spot is damn near impossible. I do believe that we already have the talent to continue being an elite hitting team with MVP candidate Mookie Betts along with guys like Xander Bogaerts, Hanley Ramirez, Jackie Bradley Jr., and Andrew Benintendi continuing to improve. But it would definitely ease the transition into the post-Big Papi era if the Sox could somehow get their hands on someone who can at least bring some of the leadership and clutch hitting that they got from Ortiz. Then again, if the man himself has decided that his reign isn’t over, that could make things a little easier. Unfortunately this is probably just Ortiz messing with all of us, but it’s okay to dream. The Sox have already signed seven-year veteran first baseman Mitch Moreland to help fill his spot, and right now it’s looking like Moreland and Ramirez will be splitting time at the DH spot.